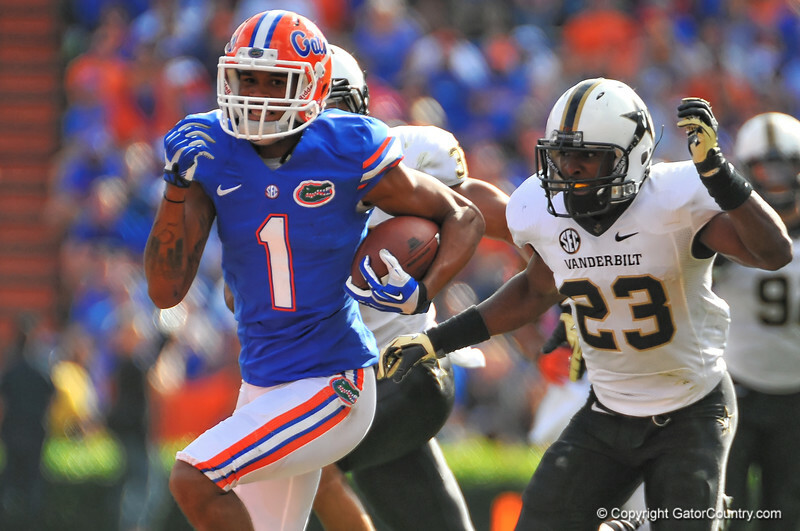 Florida Gator WR Quinton Dunbar makes the reception and sprints past the Vanderbilt defense for a first down. Florida Gators vs Vanderbilt Commodores. Gainesville, FL. November 9, 2013.